Based in Baltimore, MD, this company develops online curricula and implements them in what it calls its "online academies" for K-12 students. 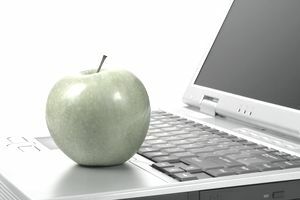 The company's clients, which in general are state governments and school districts, contract with Connections Academy in order to offer free, public online education to a segment of its students. The company then develops curricula specific to the states' or districts' needs. Connections Academy also offers its own private K-12 online school, available to those in other states. Because the company clients base spans many states, all of which offer different curricula and services to their students, Connections Academy hires a wide range of education professionals in both teaching and non-teaching positions. Its home-based teaching jobs for certified elementary and secondary teachers often target applicants in certain states that have specialized skills, like sign language, or in particular subject matter. Non-teaching positions include counselors, administrators, principals and speech pathologists. Again, most of these are for particular states and require certification and/or licensing. Also, there is work for instructional designers, editors, writers and others who work on the back-end of its course production process. Some of these, like assessment and curriculum writers, are home-based jobs for independent contractors, not employees. While many of the jobs the company offers are home-based, most of its positions are in an office, so read the postings carefully. Some of the home-based positions require residency in a specific state. Most of the teaching positions are full-time with benefits, but there are part-time substitute teaching jobs. Connections may hire home-based jobs in other states, and this list is subject to change. To apply go to the Connections Academy website and search the postings by your location. You can sign up to have potential jobs emailed to you and to view a virtual information session for prospective teachers.